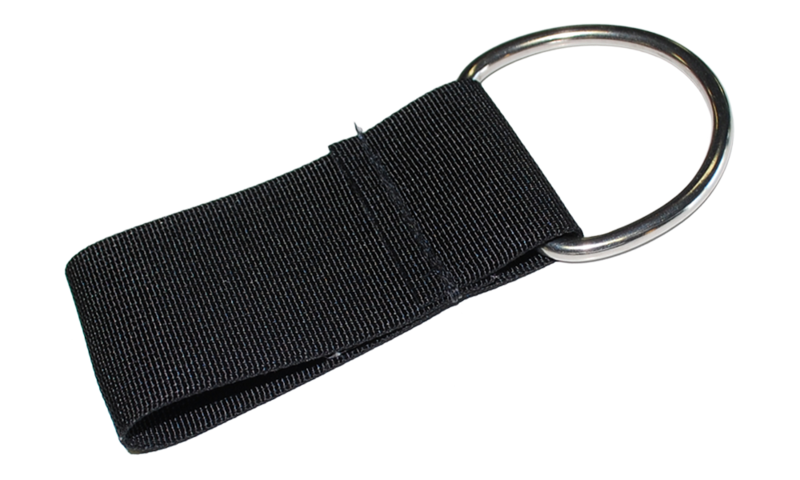 Stainless Steel D-Ring with nylon strap. Attaches to the weight belt. Nylon Strap: 4" x 2"